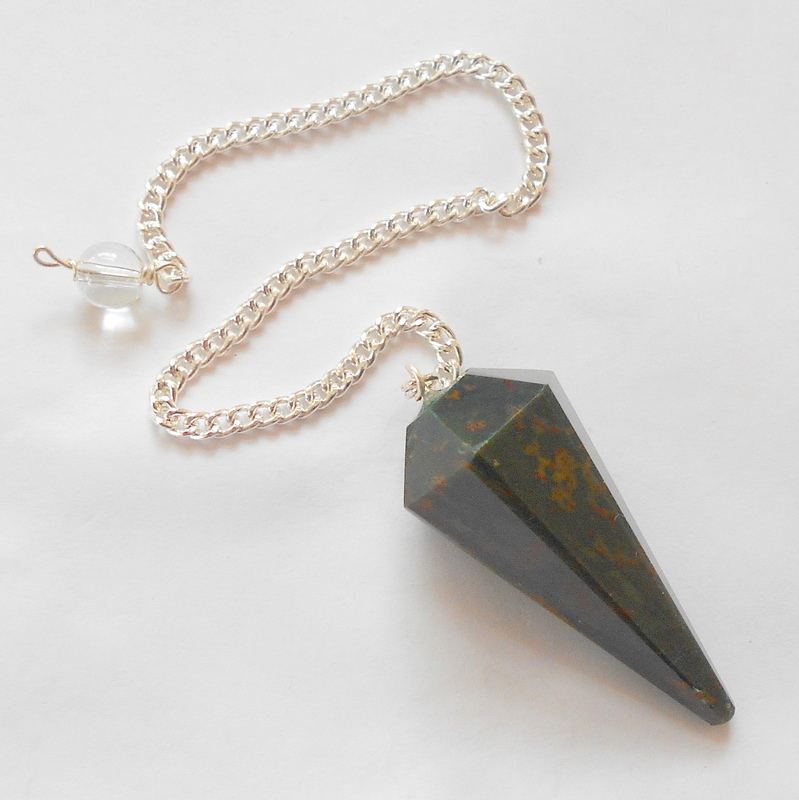 Gorgeous bloodstone faceted pendulum. Bloodstone is a gemstone of strength, courage, purification, and vitality. Bloodstone is a stone of noble sacrifice and the red coloring has been said to be drops of Christ's blood. Bloodstone is beneficial for all types of blood and bone marrow ailments, in addition to female hormonal imbalances. Another name for bloodstone is Heliotrope, which is a Greek word meaning sun turning. The Greeks thought that a stone placed in a bucket of water would make the reflection of the sun red. Bloodstone is technically a green jasper with flecks of red throughout due to iron oxide in the stone. 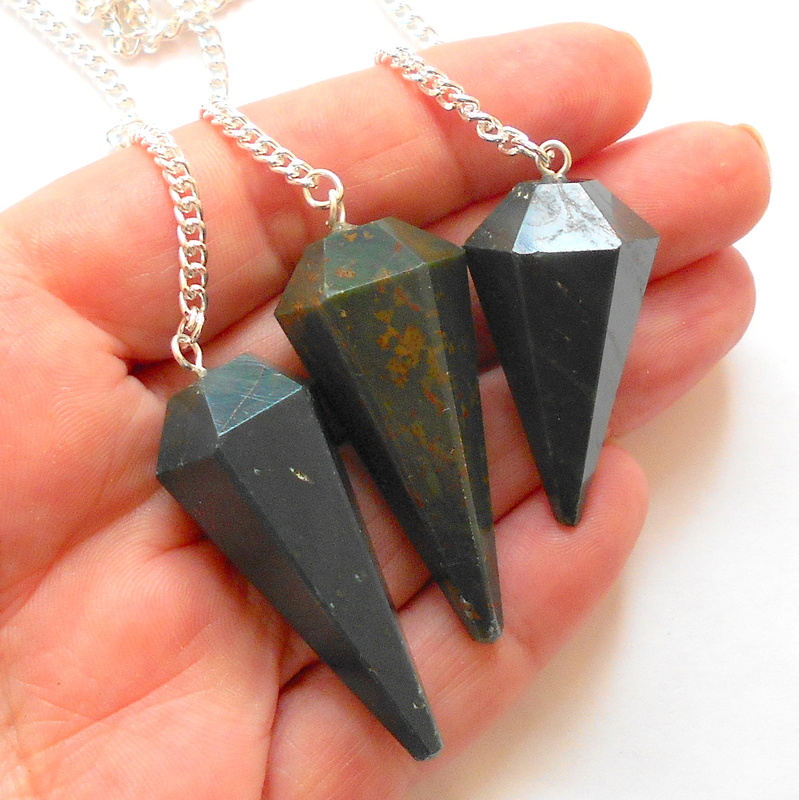 For a full night's sleep, place bloodstone beside your bed at night. To prevent problems with childbirth, wear bloodstone on your arm or thigh. Placing a bloodstone gem on your desk will increase creativity and motivation. To relieve menstrual cramps, place bloodstone on your abdomen. 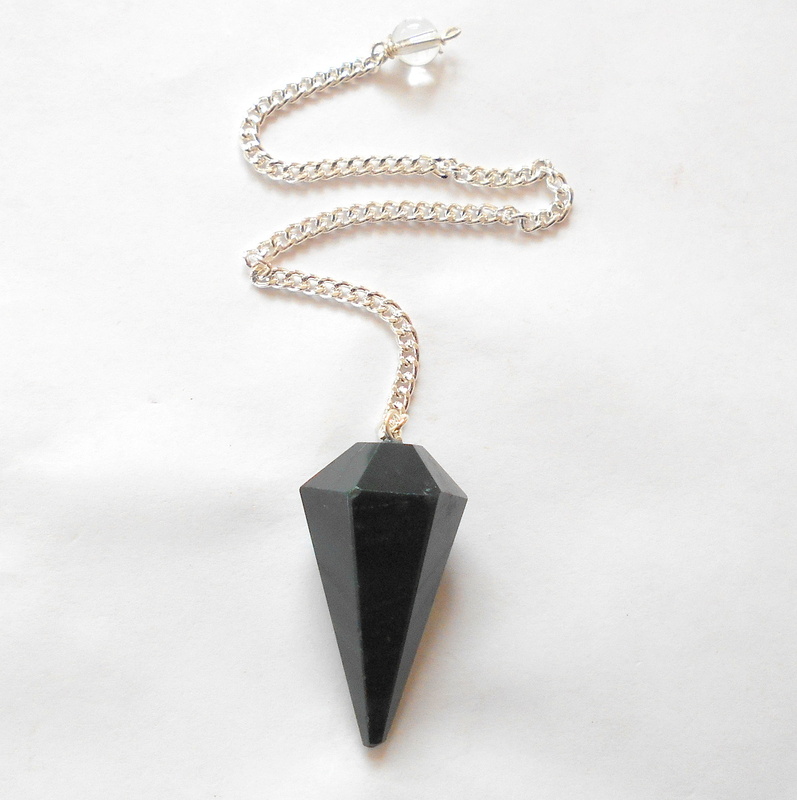 It is set on a silver plated chain, total pendulum length approximately 8 1/2 inches. Each has natural color variation and may or may not show red color on the surface.